So here it is. Here is what I’m going to link when that rare situation arises again, because it’s too much work to write it up more than once! This is advice that I feel may actually be practical to someone who is just starting out as an indie game developer. Hope it helps! So yeah, what does being “indie” even mean? Is “indie” short for independent? Is this game “indie”? Is “indie” a genre? 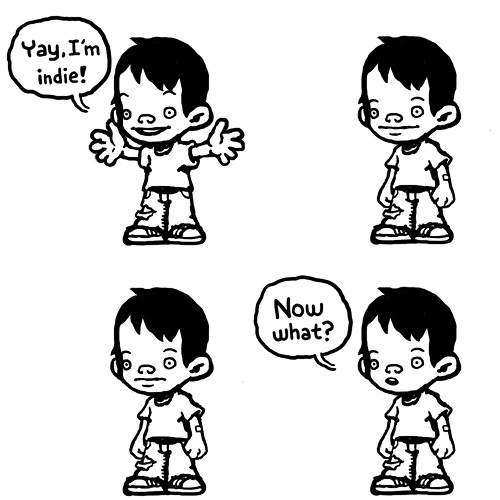 IT’S CONFUSING - WHY DO WE NEED THE WORD “INDIE” AT ALL. Scenario 2: the person instead types “indie games” into a search engine. Instead of pages upon pages of conferences, bachelor’s degrees, and programming tools, that person is met instead with pages upon pages of games to play and vibrant communities filled with people who are doing exactly what he or she wants to be doing. Some of them went to school, but many did not. A wealth of different ideas and tools are used. There are even documentaries about making games! It’s not just something where you get a degree and wait in line for a job. You can start making games RIGHT NOW. The word “indie” is more than just a way to describe a type of developmental process… like any label, it actually provides an avenue for people to explore that process and then flourish within it. It has a real purpose. It serves real lessons on game creation and entrepreneurialism. It offers real motivation! Of course, it can be irritating to see the term misused, or become a vehicle for pretentiousness and arrogance. Like any label, “indie” also breeds a certain amount dogmatism, croneyism, and other -isms. But the net result is really worth something. As someone who once gave up on professional game-making because I thought it meant a 9-to-5, I can tell you that it’s genuinely valuable. 1. “Independent”, as in no publisher. 2. Small studio (roughly 20 members or less). I choose that definition because it’s the most useful one. Someone who is looking to become an “indie” game developer is interested in what is possible under those constraints and how those types of studios operate. It excludes companies like Valve and Double Fine, which are certainly independent but too large to be “indie”. It also excludes “feels indie”-type games that are not self-published. Under that definition you still run into gray areas, but hey, just because we don’t know when “red” turns into “purple” doesn’t mean the words aren’t useful. Just think about someone who wants to make a game with a small team and self-publish it… what should they type into Google for inspiration, advice, community, etc.? “Indie” is still as good a word as any, in my opinion. So, should I go to school to learn how to make games? The most important thing to know about video game development and schooling is that no one, whether it’s an indie studio or big company, cares about degrees. How could it, when some of its most prominent members are drop-outs or never-beens? 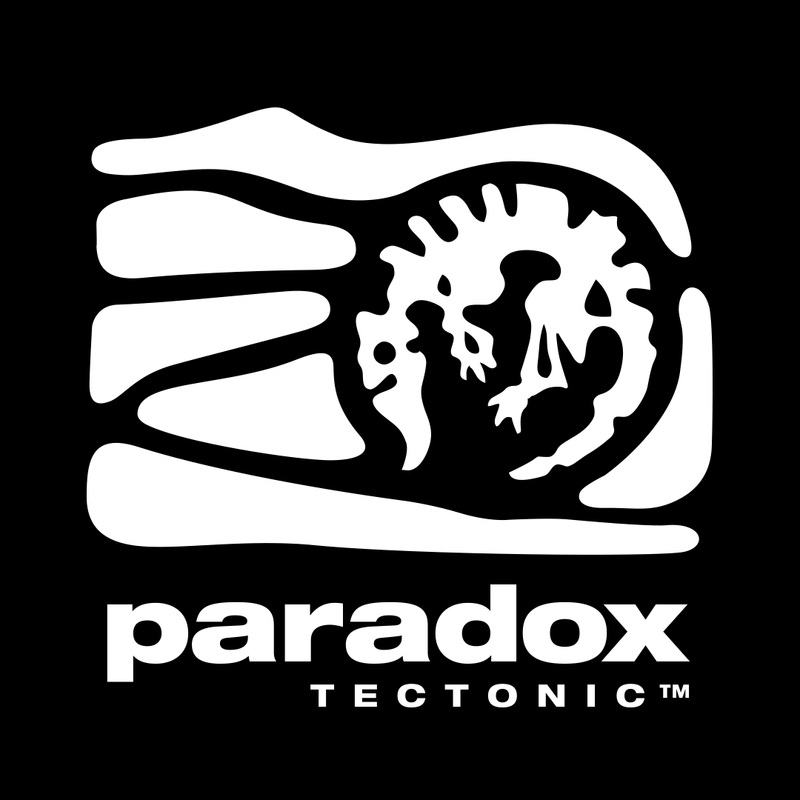 John Carmack, Cliff Bleszinski, Jonathan Blow, and Team Meat are all prominent members of this club. A degree is a piece of paper that says you can do something in theory - game developers want to know that you have enough passion to do real work, regardless of whether you’re being graded on it. And if you’re thinking of going indie, it won’t matter what other people think - you’ll simply need that passion to succeed or else you won’t. You’re the only one holding the door open in that case. This isn’t to dissuade you from going to college, per se (I studied computer science in college, and while it was far from a perfect experience, I also gained a lot from both the curriculum and the friends I made there). The point is make something - games, mods, art, and music. If school helps you with that, great. If it doesn’t, then you need to rethink how you’re spending your most valuable resources: time and money (both of which can be exorbitant costs for schooling). If I go to school, what should I study? At a regular university, I would suggest majoring in computer science, even if you “just want to be a designer”. The design of games is very much tied to how they are made. At an art school, illustration, concept art, and 3d modeling courses are probably the most useful for games. At a game school, they will hopefully try to involve you in all aspects of game creation, from programming to design. I would stay far away from design-only schools or curricula - those are either scams or are better suited to academia than actual game-making. Also, it’s worth finding out whether or not the school owns what you make while you’re a student there. Okay, you say make something. How do I start? My best advice for those starting out is not to get ahead of themselves. It’s easy to start worrying about tools, teams, platforms, deals, marketing, awards, and whatever else before you’ve even gotten a sprite moving around the screen. Those stars in your eyes will blind you. They’ll freeze you up. You need to be actively making games all the time. If we were talking about painting, I’d tell you to pick up a painting kit and a sketchpad at your local art store ASAP and just have at it. You’d proceed to put absolute crap down on the pad and get frustrated. But it’d also be kind of fun - so you’d keep doing it. Along the way you’d read some theory and study other people’s work. With good taste and under a critical eye, you would keep doing that until the day you painted something good. We’re talking about games, though. I recommend Game Maker and Unity as two all-purpose game-making suites. They both have a good balance of power versus ease-of-use; they’re both affordable or have free demos, and they both have a wealth of tutorials and plug-ins online. Both are used by professional developers (Unity in particular). Grab one of those and start running through the tutorials. When you run into trouble, ask for help. Give help back when you begin figuring things out. Get active in a game-making community. But above all else, keep making games. It’s the only way to truly answer all of those questions in your head right now. 2. Don’t skimp on artwork. It’s easy to underestimate the importance of artwork to a game. And even if you don’t, it’s easy to underestimate the importance of having a unique style of artwork. The result is that there are many ugly or generic-looking (i.e. “clip-arty”) games failing to capture people’s attention. If you have no artistic talent, go for style and coherency as many successful indie developers do. And even ugly is probably better than generic, all told. Remember: this is most people’s first impression of your game. 3. Don’t blame marketing (too much). In the indie community it’s become popular to write “how I failed” articles where the screenshots and comments tell the story of an ugly, boring game and yet the article itself tells the story of bad marketing decisions. Let’s face it, no one wants to admit that they lacked any amount of creativity, vision, or talent. It’s much easier to put the blame on release dates, trailers, websites, and whatever else. This is the internet, though. A good game will make its way out there. Marketing will certainly help, and hype may get you quite far in the short term, but it’s not going to make or break you - it’s only a multiplier of however good your game is. Saying otherwise is only hurting your ability to self-criticize and therefore improve your craft. It’s also encouraging others to do the same. 4. Indie is not a genre or aesthetic. Make the game you want to make, not what you think an indie game “should be”. Recently, the very small and very independent team behind The Legend of Grimrock announced that their very traditional first-person dungeon crawler sold over 600,000 copies. Don’t feel pressured to be dishonest about what you’d like to do - after all, what is independence if not freedom from such pressures? 5. Build yourself a working environment that’s healthy for you. Are you introverted and lose energy around other people or are you extroverted and gain energy that way? Or something in-between? What do you want your average working day to be like? You’ll want to focus all of the energy available to you toward creating, and it’s amazing how much of it can be lost to seemingly mundane things. Figuring out your physical working space as well as your personal support system is a key part of the solution to this problem, and its vitally important to you as an independent creator. 6. Stay independent! To be sure, going indie can be daunting. There is always going to be the temptation of selling yourself or your ideas to someone else for a bit of a feeling of security. But honestly, once you go down that road it’s hard to come back - every moment you’re simply securing may not be a moment you’re progressing. I’m not recommending recklessness, but it’s important to stay committed and focused on the task at hand. Life is short. Also, don’t give up your IP or in any way limit your opportunities long term. Keep exclusivity timed. When Aquaria released we weren’t aware of Steam. The Humble Bundle did not yet exist. iPad did not exist. Being on all of those platforms has been great for us. You need to keep your hands untied to take advantage of what future will bring. 7. Create your own luck. As an artist, I owe a lot to the people around me - my family, friends, peers, and idols. I accept that a lot of my success was simply the luck of being born with these people in my life. But it’s important to realize that you create many of your own opportunities, too. For example, I met Alec (my friend and Aquaria co-creator) because he offered to help work on I’m O.K. I’m O.K. was a game started on the Pix Fu forums. The Pix Fu forums were part of my personal website and its members were friends of mine I’d made much earlier during my Blackeye Software/Klik n’ Play days. You could trace a similar path from the XBLA version of Spelunky to the original PC version and the TIGSource forums. The point is - put yourself out there. Make things (I can’t stress that enough!). You never know when serendipity will strike, but when it does it will likely be related to situations in your past when you chose to actively engage someone or some idea. 8. Avoid “business as war”. As a professional you’ll need to do business and make business-related decisions at least occasionally, and as a creative type you might not be that interested in that stuff. Hell, you might even be downright scared of it. Well, I’m here to tell you that you don’t have to be Gordon Gekko to make it as an indie. And please, don’t try to be. In fact, avoid the Gordon Gekkos. Avoid the people who try to confuse you. Avoid the ones who try and nitpick. Avoid the ones who try and rush you. If you have a great game, there is no distributor you will absolutely have to work with, platform you have to be on, or person you will have to team up with. Always be willing to walk away from a bad deal, especially if it’s to maintain your independence as a creator. In turn, be a direct and generous person yourself. People get defensive when they’re scared. Don’t sit at the table with someone like that or as someone like that and doing business should be fairly pleasant! This isn’t Wall Street! 9. No gimmicks. Simply put, focus on making a good game - a deep, interesting, unique game - rather than devising cheap tricks to grab people’s attention. Whether we’re talking about clever-sounding-but-ultimately-shallow game systems or off-the-wall marketing ideas, a gimmick is a gimmick. And you should stay away from them because they’re short-term, high-risk solutions that ultimately cheapen you as an artist, perhaps literally as well as metaphorically. Certainly, one should take risks in game design as well as in life. My point is that they should be honest, worthwhile ones - those tend to be less risky in the long run. 10. You are your game - understand and develop yourself. As an indie game developer your game will likely be more “you” than a game made by hundreds or thousands of people. You have to understand yourself quite well in order to make a truly successful game. Fortunately, the unraveling of what makes you “you” - your taste, what you care about, your abilities - is one of the great pleasures in life and goes hand in hand with your goal of being an independent creator. Treasure it!